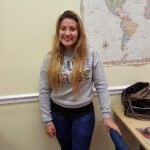 We’ve received some cool student testimonials from a current crop of English students at TALK Miami and wanted to share with our TALK followers! Student testimonials are a great way of understanding the student experience, where we can improve and what we are doing right. Dijana appreciates the teachers’ professional approach and remarks that she feels confident with them as they know what ‘is best for their students and how to improve their English skills.’ She adds that her experience of Jason Daily, who is the Director of TALK Miami Beach has been great as he always has time to answer her questions and is there to give her advice when she needs it. 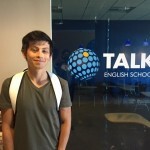 Leandro Kurita, who hails from Brazil, moved English schools from Chicago to Miami Beach and is extremely glad he enrolled at TALK’s Miami Beach school. Currently, in Grade 5, he is happy with both the place and the school and says the teachers, his classmates, and the school are all good reasons for being here. 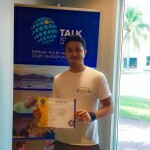 Thanks to our students for their testimonials and their feedback on our teaching, teachers and total experience of TALK Miami Beach.